Has your business adopted appropriate policies and practices to ensure that its board is effective? 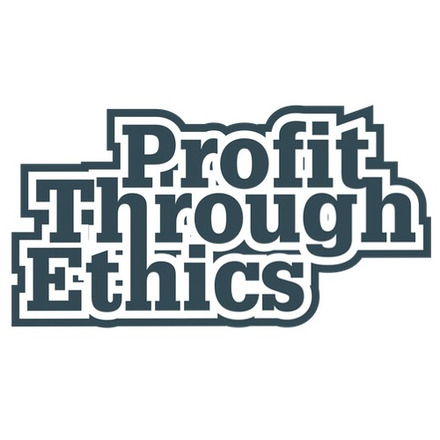 While founded in 2003, for all intents and purposes Profit Through Ethics Ltd (‘PTE’) remains a start-up. The founder, Michael Solomon, is currently the sole director and we consider the company not to have a board, and thus answer NOT APPLICABLE to this question. As sole director, Michael has been responsible for all aspects of the business and its operations to date, including for its values and culture. To ensure that the company is effective, Michael takes third party advice from professionals although decision-making remains, as it must, his sole responsibility. One of the company's key advisers, Malcolm Bacchus, a chartered accountant, assists Michael with various matters; operational and financial issues in particular. The company also calls on legal, branding, marketing and other advisers as required. We keep under review the need to create a Board and appoint members, as the company moves into profitability. If this is the case, members will be chosen to augment Michael’s skills and experiences. As a start-up, we aim to disrupt markets with new products and services and to scale rapidly. Despite the considerable difficulty of creating and launching a transparency and accountability initiative for business, PTE continues to attract clients, partners and investors and, as a result, develop and improve Responsible 100 (‘R100’). We are accountable to these key stakeholders in particular. PTE holds strong views on the values, roles and purposes of business, which have shaped the creation, management and development of R100. They also shape our approach to company governance. We believe that, in an increasingly volatile and uncertain world, it is essential that businesses understand, manifest, and clearly articulate their values. To be effective over the long term, the leadership of a business must deliver financial sustainability and ideally achieve growth; it must also define and inculcate its culture and values. Never before have businesses needed to assure their stakeholders what it is they stand for and what it is people can expect of them in challenging times. Businesses cannot do this without the necessary belief and conviction of everyone in the organisation nor without leadership, vision and courage from the top. Strong culture and effective management go hand in hand. R100 enables businesses to set out their values and demonstrate how they are manifest in the policies and practices they pursue. For example, PTE uses its profile page on R100 to set out its core values: openness, honesty, accountability, fairness, innovation and contribution. We also set out one of our objectives to help create a ‘race to the top’, where businesses are able to compete on the ambition and impact of their social and environmental innovations as well as on the price and quality of their products and services. The recurrence of major business scandals contributed to or caused by a failure of governance suggests that establishing and maintaining effective boards remains a challenging issue for businesses and organisations. The collapse of Enron (2001) and Lehman Brothers (2008) are oft cited examples, as are the collapse of Northern Rock plc, the near collapse of HBOS, RBS, and the Co-op Bank and, more recently the VW’s vehicle emissions scandal which may cost VW in excess of US$50 billion to resolve. Finally, the recent various FIFA scandals also provide clear reminders that governance failures can contribute to massive losses for shareholders and stakeholders, and give rise to fundamental questions on the license to operate and the validity of the business model. A weak or dysfunctional board poses a significant threat to the ongoing success of a business and no business is likely to succeed or thrive for any length of time without an effective board. Sound corporate governance, the systems and processes by which a business is managed, controlled and led, is critical to achieving and maintaining success, commercial or otherwise. The hallmarks of good governance have expanded as the scope of the world's leading governance code has broadened. The checklist provided by the UK Corporate Governance Code (2014) or other codes such as South Africa's King Code 111 of Corporate Governance Principles (2009) are comprehensive and give a useful governance agenda for companies. The leading codes are revised periodically to ensure they remain fit for purpose and reflect developments in the real world, for example the 2014 revision of the UK Corporate Governance Code gave greater prominence to risk management and risk reporting. The implementation of codes has to be driven by a combination of each company having the resolve to do so, because it makes good business sense, and shareholders performing a stewardship role to hold the company and its directors to account. This is entrenched in the approach of "comply and explain", which reflects that the codes are not a rigid set of rules but principles which should be applied unless the company explains to shareholders the rationale grounds for not doing so. Given the long list of corporate and organisational failures, investors, analysts and stakeholders understandably seek assurance that boards have the internal processes required to enable them to ensure that the correct matters are reserved for the board and that the board is appropriately engaged to ensure that those matters are addressed at the right time, with the right information, by the right people. One element of this is ensuring that the composition of the board enables it to avoid "groupthink" and to bring informed insights and challenge to all issues before it. Boards can be ineffective because of weak leadership by the Chairman/Chairperson ("Chair"). A high-performing board requires a chair to set the tone of governance at the board and across the organisation. This will include setting the board's agenda and ensuring appropriate time is allocated to strategic issues, allowing a culture of openness, meaningful debate, effective contribution from directors and constructive relationships between executives and non-executives. Importantly the chair must ensure that directors receive accurate, timely and clear information. In many of these activities the chair will be assisted by a competent company secretary. It is also important that the board include an appropriate combination of executive and non-executive directors, with sufficient independent directors who are selected with due regard to the benefits of diversity in combating the chilling impact of group think. Directors must possess an ability to deal with difficult issues, to get to the heart of matters and to communicate with clarity and without rancor. Effective boards are likely to be directly engaged in what happens within the company, how staff are treated and motivated, and what the customer is experiencing at all company touch points, asking the hard questions, challenging assumptions and orthodoxies, and even expressing strong and dissenting views are all appropriate and welcome elements of board member engagement. Frequently, key decisions on issues such as ethics, sustainability and long term risk are taken inside board committees, which in turn need appropriate remits and governance. The 'board' is a body of appointed members (directors) who collectively oversee the activities of a company or organisation. The members are usually elected by the shareholders of the company at an annual meeting. The board has the ultimate decision-making authority within the business, apart from powers which are reserved for shareholders such as approval of dividends, annual reports and accounts, political donations and others. Board members usually include the most senior company executives ('executive directors') as well as non-executive directors who may be independent and amongst them will possess complementary skills and experience required by the company. Therefore, not all board members will be directly engaged in the day-to-day operations of the business but the entire board is held liable (under the doctrine of collective responsibility) for the consequences of the company's policies and actions. 'Effective' means able to accomplish a purpose, to achieve or produce the intended or expected results through appropriate means consistent with the company's values. Thus an 'effective board' will ensure that governance structures, policies and culture consistently deliver both the short and long-term objectives of the business model. 'Corporate governance', as defined by the 1992 Cadbury Committee "is the system by which companies are directed and controlled. Boards of directors are responsible for the governance of their companies. The shareholders' role in governance is to appoint the directors and the auditors and to satisfy themselves that an appropriate governance structure is in place. The responsibilities of the board include setting the company's strategic aims, providing the leadership to put them into effect, supervising the management of the business and reporting to shareholders on their stewardship. The board's actions are subject to laws, regulations and the shareholders in general meeting." 'Business culture' can be defined as an organisation's values, vision, working style, beliefs and habits. It is a key component in any organisation, impacting the strategic direction of a business and influencing decisions, management and all business functions. It is often characterised as 'the way we do things around here'. 'Groupthink' is a psychological phenomenon that occurs within a group of people in which the desire for harmony or conformity in the group results in an irrational or dysfunctional decision-making outcome. This question has multiple scorecards. A clear commitment to maximising the effectiveness of the board is evident, demonstrated through various examples of innovative practices designed to pursue and improve on transparency, communication and effective decision-making. Recognition that striving for board effectiveness is an ongoing pursuit with NEDs and all other relevant stakeholders fully involved. Meets an appropriate level of transparency in review methodology, recognising that sensitivity around some issues may prevent full public disclosure. Profit Through Ethics answered Version 2 of this question. It has since been updated to Version 4. View a side-by-side comparison of the changes to the question here.